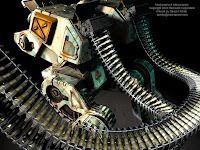 So, as you'll notice is a theme on this blog, I am a huge fan of MechWarrior 4. When I got vengeance at age 11, I was completely enthralled and I have played each of the three iterations of MW4 at least a dozen times each. Well, probably played Mercs more than a dozen times and Black Knight less, but close enough! 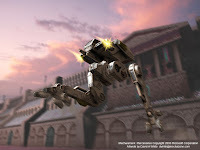 With that, I have taken a special interest in many of the designs that originated from that game. 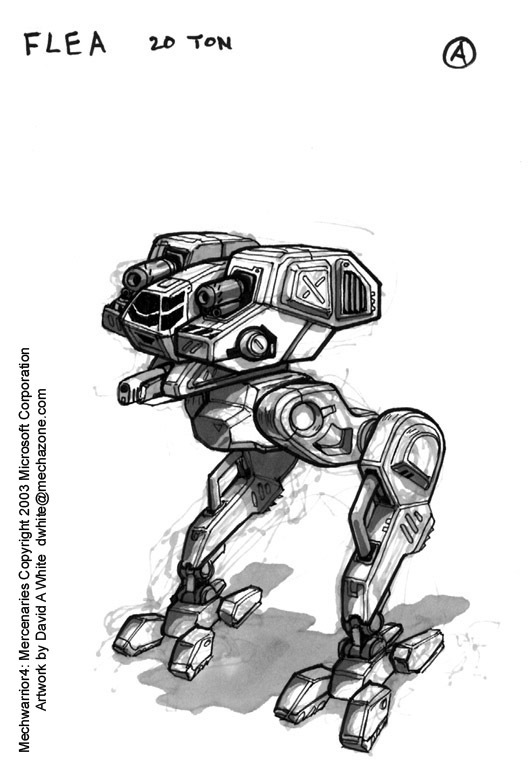 I have officially produced through Ironwind Metals the Arctic Wolf II (aka the MW4 Arctic Wolf) and resculpts of both the Chimera and Hellspawn, both designs that originated in MechWarrior 4 Vengeance. 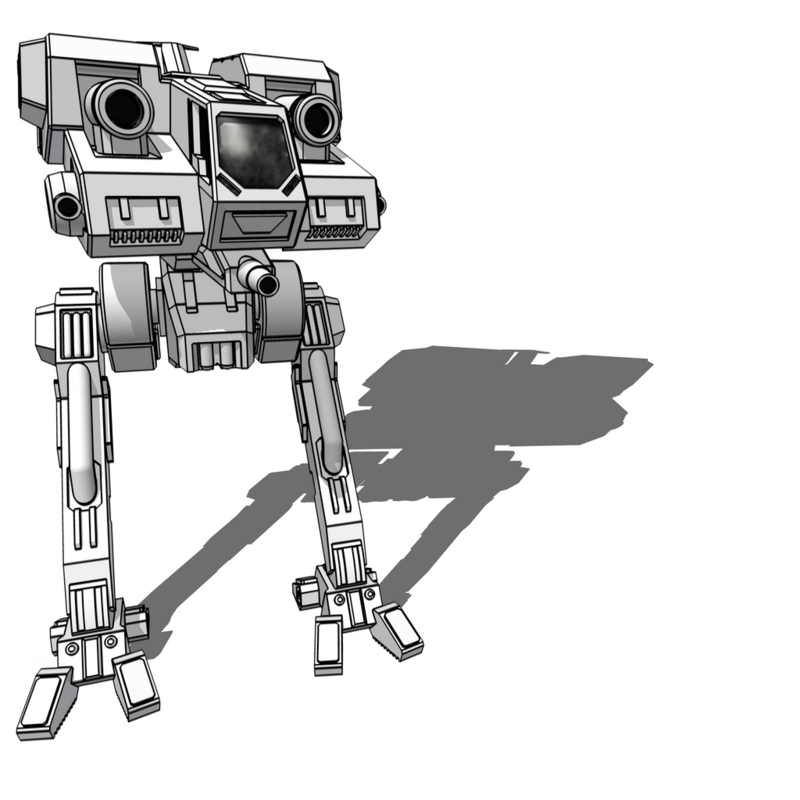 But, before I did most of those, I made a 3D model of the MechWarrior 4 Flea. Not a bad little design! 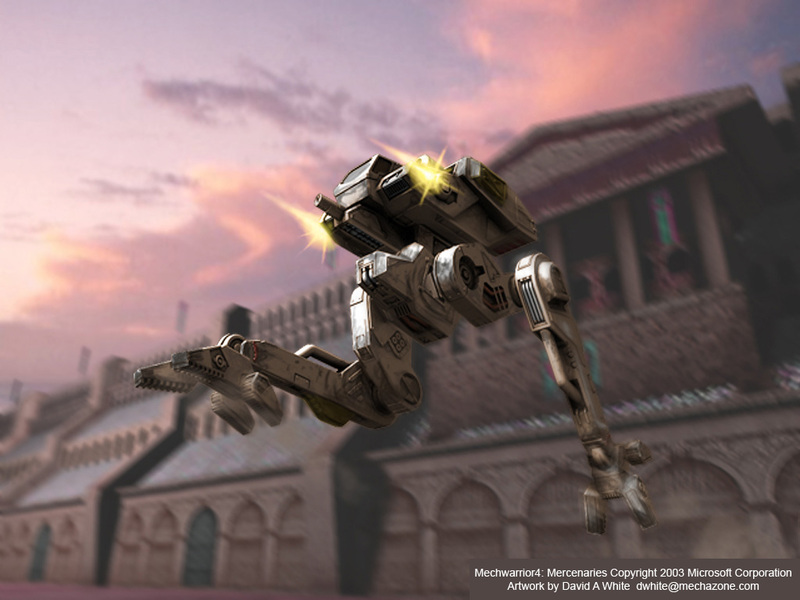 Trying to stay true mostly to the actual game model, I designed this, which was my low detail model as of September 6th, 2014, making this design one of the oldest in my collection. I believe only my Vulture III, Thor II, Arion, and Arctic Wolf II models are older than this. With a few details added (and maybe some coaxing of a few proportions) this is the final model! Now, there is no background or anything, but I am quite proud of the work. Let me know what you think of it in the comments!